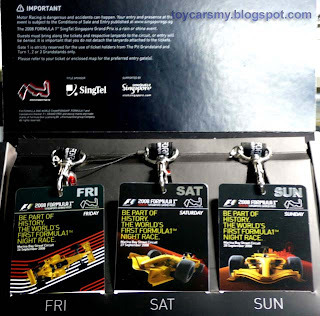 After much waiting, our F1 passes is finally here. I went to the Post Office last evening to collect the passes. The passes came in a big white box. When you open up the big white box, there are two black packages (each about the size of a DVD cover). 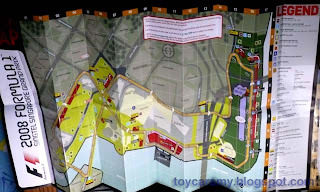 In each of the black package there are 3 plastic passes with lanyard and a map of the race circuit. 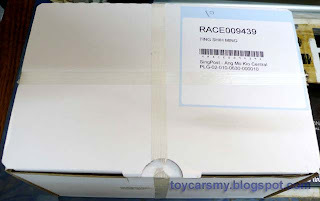 Enclosed are some pictures of the package and the passes. Pictures do not look very nice because of the lighting and a bit of hand shake because I was about to go to bed. 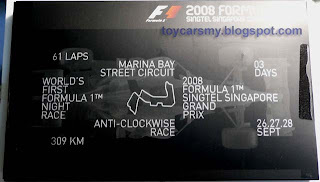 anyone going for the F1 in Singapore?